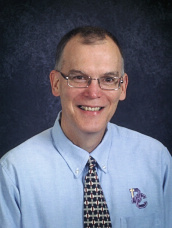 Dr. Dave Rough serves as the Superintendent of the Dayton Christian School System. He is beginning his 28th year of ministry with the school system this 2015-16 school year. Burdened with the commitment to provide Christian schooling to as many students as possible, Dr. D. (trail name: Rowdy) desires to combine his love for hiking with his passion for Christian education. His 2014 thru-hike of the Appalachian Trail reflected his heart to raise tuition dollars for families that cannot afford the rising costs of K-12 schooling. Dave was born in Franklin, PA in 1950, moved to Morgantown , WV when he was 4 years old. He developed a love for hiking and the woods as he traversed the paths of the state parks. Over the years he has logged in hundreds of miles in the West Virginia hills of Canaan Valley, Blackwater Falls, and Pipestem state parks. Dr.D. graduated from West Virginia Wesleyan College; had the opportunity to earn masters’ degrees from both Asbury Theological Seminary in Wilmore, Kentucky (1972 – Hermeneutics) and Grace Theological Seminary in Winona Lake, Indiana (1998 – School Administration). In 2008, he earned an Ed.D. from Indiana Wesleyan University in Organizational Leadership. Rowdy has a wonderful family. He has been married to Cathy for 43 years (they celebrated #42 while he is on the trail). Together they have four incredible children: Ben and his wife Vanessa (and two beautiful daughters and one son on the way) live in Woodstock, GA.; Matthew is a vital part of a church plant in Morgantown, WV; Bethany and her husband Justin (and four special children) reside in Charlotte, NC; and Dan and his wife Sara are raising four wonderful children in Miamisburg, OH. As one thinking of doing the AT, I have been following several journals of current hikers & researching much about the gears, terrains, hikers experiences, and anything else related to the AT. Most of the hikers I been following are past Virginia except you and another one. Anyway, we leave in Fl but we have a place in Waynesville 30 mins from I40 crossing and I would like to do something while I,m in the mts. If you needed a zero day, needed to visit REI or small outfitter in town, take a shower or would like to slack pack to Max Patch from I40 crossing, please let me help. When you be crossing I40? Either way, I be there one day with some trail magics( no magic I guess). Good luck with your hike through the smokies. Tom – a Thanks so much for checking my blog. I try to post most days on the trail just sharing a quick thought and a picture or two. Please check I when you can.